Though Iran has yet to confirm the attack, the terror group Ansar al-Furqan Ahwaz Martyrs Brigade claimed responsibility in an official statement, which noted "This operation was conducted to inflict losses on the economy of the criminal Iranian regime." Ansar al-Furqan is a relatively new group, having been founded in 2013, and has ties to Syria’s Al-Qaeda-linked Al-Nusra Front (currently called Ha’yat Tahrir al-Sham). It is comprised primarily of Baluchi Salafist militants which are hostile to the Iranian government - the Baluch people, an entho-linguistic group, are spread primarily throughout southern Iran, Afghanistan, and western Pakistan. Both the video and written statement identify the location of the attack as near near Omidiyeh, a city in Khuzestan Province - an area of the country which has witnessed periodic uprisings and sporadic bombings going back to 1979 and into the mid-2000's. SITE [the U.S.-based SITE Intelligence Group] says the attack by Ansar al-Furqan, if confirmed, would be their first in oil-rich southern Iran. Iran has faced low-level separatist unrest from Kurds in its northwest, the Baloch in its east and Arabs in its south since the 1979 Islamic Revolution. But in this case the timing comes at an interesting moment as multiple major Iranian cities are now in the third day of rare anti-government protests widely reported to be fueled primarily by economic grievances, but which notably have included aggressive anti-Rouhani chants and slogans calling for the end of clerical rule, and could get more violent. 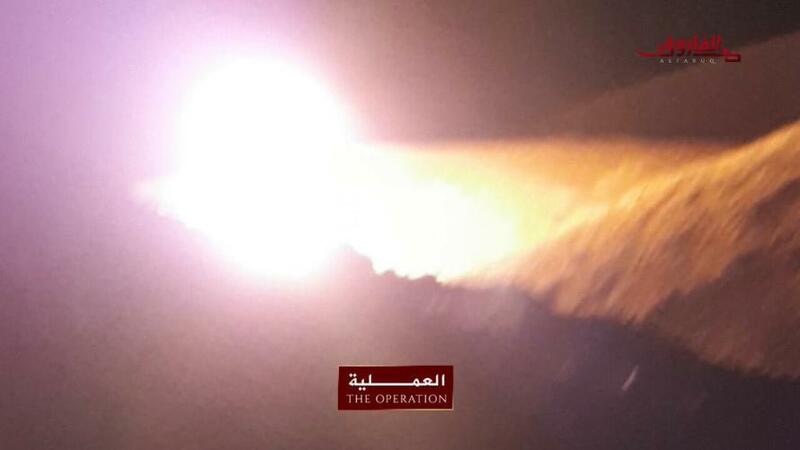 Ansar al-Furqan specifically cited the desire to target Iran's economy in carrying out the oil pipeline attack. Meanwhile, late in the day Friday the US State Department issued a formal condemnation of the Iranian government, calling the regime "a rogue state whose chief exports are violence, bloodshed, and chaos" while announcing support for protesters. As we noted, statements now coming from US officials fit a familiar script which seem to roll out when anyone protests in a country considered an enemy of the United States - no matter the motivations and grievances of the demonstrators, whether economic and local or otherwise. It is very likely that the Sunni jihadist Ansar al-Furqan (which is essentially "Iran's Nusra Front") is seizing on an opportunity to sow chaos in Iran at a moment when the country is in the international spotlight. As White House Press Secretary Sarah Huckabee Sanders tweeted Friday night, "The world is watching", a sentiment that Trump himself echoed hours later. Though certainly a radically different movement from the civilian protest movements currently gripping multiple cities across Iran (the Shia-majority populace tends to view the Sunni militant groups which have historically carried out bombings of civilian areas as dangerous terrorists), authorities in Tehran could also use the excuse of the threat of Sunni terror and militancy to broadly crack down on protests and anti-government sentiment.